I think I’m back online, at least for now, and should be making prompter posts; I just spent the last day turning four old broken PCs into one old working one. 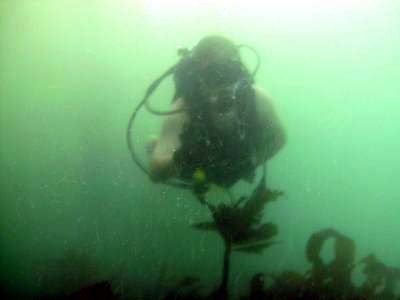 With a day off with no pay, compliments of the stagnant crapola economy, I decided to head down to White Point for a long overdue dive there. 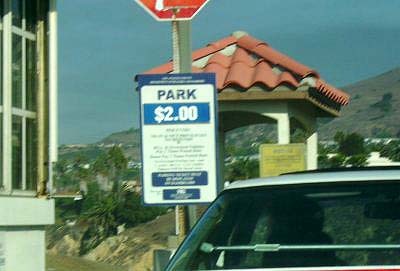 The trick to parking on the weekdays is to get there before 9 AM; after that, it shoots to $7. 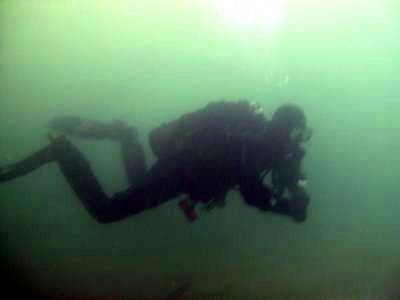 After TwinDuct discovered problems with the threading on his tank, Kevin saved our SCUBA dive by loaning him a tank. We entered off of a small rocky cul de sac – I think that’s what’s left of the old Japanese bathhouse. We submerged in 20 feet of water and headed South; there are underwater hot springs here, but I’ve never been able to find them. 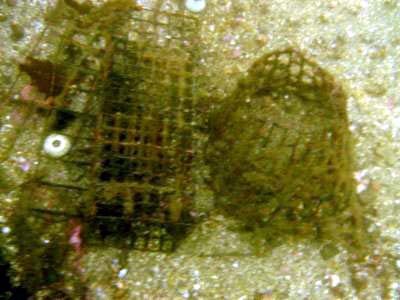 What’s left of an old commercial lobster trap. Kevin stayed with us almost until the end, before he went off solo to look for shells. 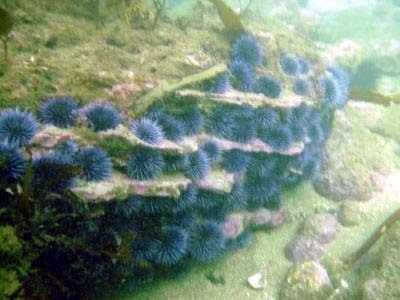 An underwater Uni store – shelves of sea urchins. White Point is strange in that some reefs are 40 feet deep, but if you try and swim over them, sometimes you reach the surface. We exited with no problems. We fired up the ghetto grill and debriefed with hot dogs and the King Of Beers. With lobster season fast approaching, I’m a little concerned… where are the lobsters? Stop diving and start making money. Maybe then you can afford a new computer.